Embrace the Energy of the Future with the AeroLife Newtrition Challenge! While having dinner with my family for my cousin’s birthday on Thursday, my cousin started asking me how the blog was going. I love when family asks me – they really take my job seriously and understand how hard I work to make it a success. While they know that I am busy working all day, they really don’t have any idea just how time consuming it all is! My day usually begins at 6:45 AM, when I take Angeline to school. I come home and immediately begin working, and I’ve been so busy lately that I have been working well into the evenings, which leaves me even more exhausted the next day. Running a successful blog (or any business, really) takes a lot of work. I’m always writing posts, baking dishes for food posts, photographing, editing photos, engaging in social media 24/7, networking with other bloggers and brands and running back end blog stuff like dealing with ad networks, coding issues, etc. It’s more than a full time job, and on top of that, I do 99% of the cooking, cleaning, banking, caring for the pet, etc for our family. Between being a wife, mom and blogger, I feel like I have three full time jobs. Let’s just say that my plate is FULL. Combine my busy schedule with my insomnia, and I am usually exhausted by 3 PM! Obviously I can’t stop working at 3 PM everyday, though it is very tempting! So what do I do? I usually reach for the coffee, which probably doesn’t help my insomnia! When I found out about the AeroLife Newtrition Challenge, invented by Harvard professor, Dr. David Edwards, I knew this was something I had to investigate! What is AeroLife and How Does it Work? AeroLife is an air-based smart nutrition system that delivers powdered blends of vitamins, supplements, and flavors. From fast acting energy, to immunity boosters, to delicious flavors, AeroLife products provide a range of health, performance and culinary benefits. Tiny dry particles of natural food and nutrients follow the air into the mouth and land on your tongue. When you swallow, it quickly delivers the nutrients to your body. I received a few samples of AeroLife to try out and share my findings with you. I was a little apprehensive about using them, but it turned out that they were super easy to use! I am saving my travel pack for my upcoming trip to Kissimmee so that I can use them while I am traveling! So far I have used the Energy AeroLife and I can tell you, it actually did revive my energy! I’ve used it a few times in the afternoons, when I started getting tired and unable to concentrate on work. Staring at the laptop all day gets so tiring after a while! I just ate a little bit each time, but it gave me a little pep in my step and I was able to concentrate on work again. The AeroLife is pretty easy to use, you simply pull up the black portion of the device, insert it into your mouth with the slotted end between your lips, then gently draw the powder into your mouth, swallow and push it back down to close it. Each one has three to five servings, so make sure to close it so the powder doesn’t fall out! It’s Fast and Effective – It does work, and pretty quickly! It’s Portable– Carry AeroLife in your purse, in your pocket, or keep one in your carry on luggage! It’s Convenient – You can use AeroLife anytime, anywhere! Zero Calories, no liquids, no sugars! You Have Control – Use as much or as little as you like! AeroLife Energy is a great alternative to other energy-boosters when you’re feeling that afternoon lag. I usually drink diet soda or coffee when I am traveling to keep up my energy, but I will be sticking to my AeroLife on my trip to Kissimmee next week! Who needs all that crappy soda and energy shots when you have a alternative? Visit AeroLife for a free 12 pack trial of AeroLife! It’s the energy of the future, guys. Start your free trial now and don’t get left behind! First off, what busy mom like us couldn’t use an energy boost (or anyone, really). For me, nine times out of ten that boost is caffeine, but I love that there are healthier alternatives out there. I gave up soda this year and there are days when I really need an energy boost. OK…who am I kidding? As a mom who works full time, blogs on the side and has 4 busy kids, I need more than an energy boost! I need an energy transfusion! I’m going to look into AeroLife! plates full? moms and bloggers? nah. not us. i’ve been trying to shut down by 11pm but man, i feel like i’ll never catch up if i dont!! Wow this is neat! I’ve never heard of AeroLife before. You’re very lucky to have a family that is so supportive of your blog! It can definitely be overwhelming at times! Interesting…I’ve never heard of Aerolife before. I like the sound of an energizer boost without the calories and sugar though! I could totally go for some renewed energy right now – since it’s only 1:30pm! This does look like a healthy way to revitalize yourself, and I love how convenient it is to use. Boy did you say a mouthful – mom is a 24/7 job and that’s just the kid part…where are the hours for all the other stuff that we do and don’t forget our careers! It’s no wonder that we need a boost – or a little energy kick. I’ve never heard of Aerolife before, but I’m checking them out. I need an energy boost right now! This sounds perfect for a midday pick me up when I have been known to start snoring sitting at my computer! I don’t know how you do it with so much on your plate! 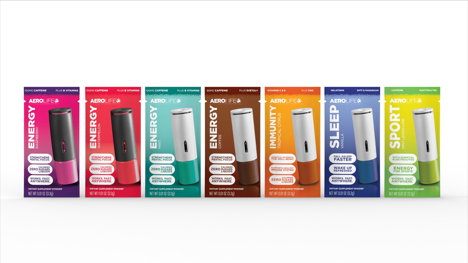 How did you like the flavor of the Aerolife? I’m so curious! Wow, I haven’t heard of this before. I def will have to look into it. Seems like something I could benefit from. Wow! All I can say is how neat is the packaging on these things?! I totally can relate to all you’ve said above!! I’m so sick of running out if energy just when I need to be my most alert! Wow, this sounds really interesting. I’d really love to try this for a bit of an energy boost. Dealing with twins can be exhausting, ha! My husband drinks two or three sugar-free energy drinks a day when he’s working. I think this might interest him as an alternative!!! I’m interested! Now I’m really interested to see how these would work for me! Like many moms I need some extra energy and maybe AeroLife can help with this. I like that the container is small and easy to use. Will look for it in my area to try it out. Running a blog takes SO much work, you don’t realize how much until you start doing it lol. I’ve never heard of these before but I might have to give them a try cause I really could use a little extra energy sometimes and the 5 hour energy type drinks always give me a sugar crash later in the day. These would be perfect for that 3pm crash I seem to have. I’m wary to have too much caffeine after 2pm for that same reason! B vitamins usually help me during tech week. AeroLife sounds pretty amazing. I’ve never heard of it but might give it a try. I could use more energy. This is completely new to me. What an interesting idea! What an interesting concept! I’m thinking it would be fantastic for traveling when you’re sometimes not able to grab a meal. Sounds great for those needing a little energy boost. Almost reminds me of those 5hr energy drink commercials I see on TV. They don’t do anything for me so I tend to stay away from them. I could use an energy boost all day, every day. And you’re so right. I feel like I have SO many full-time jobs right now between working out of the home full-time, blogging, my freelance business AND being a wife and mom. Wow! This looks like a great product. This is something I should try. I could definitely use an energy boost mid day. By about 1pm I start dragging and look to unhealthy alternatives to give me a little boost. I like the flavor varieties in this product! so what flavors do you like best? are you still enjoying this as much now? i lose energy midday all the time. exercise? helps me not at all. i exercised yesterday and promptly took a nap. Did someone say energy? Where do I sign up?! I saw these guys on shark Tank! They look like a great on the go energy boost! This is something completely new to me. Who can’t use some extra energy!?! I agree with the popular consensus, count me in for an energy boost! Did someone say time for a workout? I’ve never heard of this product before. I like that it doesn’t have any sugars and it’s easy to carry around! I always face that afternoon slump, too. I’ve never heard of these, sounds really interesting! I always hit a slump in the afternoon. This would be great to try then! I believe I commented on this… I’l return later to tweet it. Still love the energy boost Aerolife give. This sounds like a really good product and company! I will check them out, hopefully it is as good as it sounds. So many of us experience that slump in the afternoon. A product like this would be awesome to give you a boost without the added extras a diet soda or coffee gives you. I am always looking for a way to increase my energy. I am usually running on fumes. This product line is new to me. It is indeed an interesting concept. I can’t do energy stimulates/shots because they make me feel sick and jittery. These would be a great alternative for someone like me. I could use that right now! It looks so easy! I love that there are no calories or sugars. Going to check it out. Thanks!